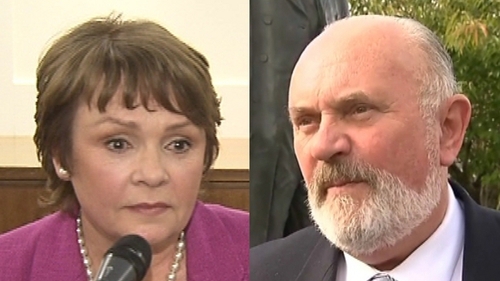 A number of local authorities met today to consider the bids of Senator David Norris and Dana Rosemary Scallon to become Presidential candidates. So far, Laois County Council and Fingal County Council have backed Senator Norris, while Carlow County Council and Roscommon County Council have nominated Ms Scallon. However, Senator Norris today failed to get the backing of both South Dublin County Council and Carlow County Council. Speaking after the Dublin vote, Senator Norris said it was tight and he accepted it as part of democracy. Fine Gael did not abstain en bloc with six councillors voting against and two abstaining. Two Sinn Féin councillors voted against with one abstention and four Labour councillors voted against with five voting in favour. Four Fianna Fáil councillors, an Independent councillor and one from People Before Profit voted in favour bringing the final tally to 12 against, 11 in favour and three abstentions. Mr Norris said he is going to go next to councils in Cork, Waterford and Dublin City and still expects to be able to secure a Presidential nomination. Earlier today, the Fine Gael Chair of Carlow County Council, Thomas Kinsella, used his casting vote against Senator Norris on a motion to support him after a vote was tied five to five. Mr Kinsella said afterwards that he felt Mr Norris still has questions to answer about a number of issues. This morning, Laois County Council nominated Senator Norris by a margin of seven votes to four. "I am delighted to announce that my home county of Laois has just agreed to nominate me for the Presidential race," Senator Norris said on Twitter. Six Fianna Fáil councillors and one Independent voted in favour of him. 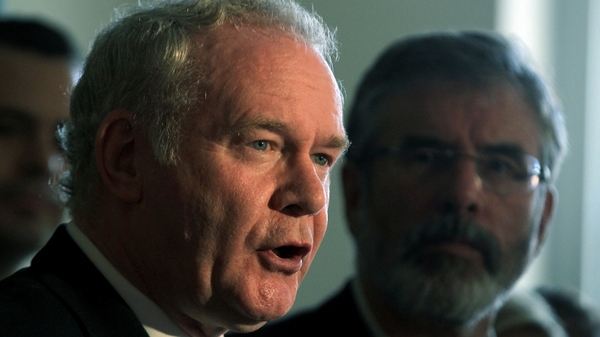 Four councillors, including two Fianna Fáil and one Sinn Féin, voted against him. All members of Fine Gael on the council abstained on the vote after a meeting with Senator Norris and Fine Gael TD Charlie Flanagan. Leaving the meeting, Senator Norris said he was delighted to have got the support of people in a county where he had several connections. He indicated he would not be publishing any further letters of representation he had sent in the case of Ezra Nawi because they were all shorter versions of the original letter he had published in full. Asked about the release of other letters written to Israeli authorities in support of his former partner, he replied "as far as I am concerned the matter is closed". In Roscommon, 12 councillors voted to support Dana Rosemary Scallon and 13 abstained from the vote. Earlier this afternoon, Ms Scallon won the Carlow vote by seven to zero with the rest abstaining. Ms Scallon has said she was "delighted" with the support she has received from Carlow and Roscommon County Councils. Both Ms Scallon and Senator Norris need to secure the backing of four local authorities to make it onto the ballot paper. Meanwhile, Limerick County Council has formally backed the nomination of Independent candidate Mary Davis. Around 12 county councils are to meet in the next few days to decide who they will be supporting. Earlier, Independent TD Mattie McGrath said he personally wanted to facilitate Senator Norris' Presidential nomination, but he listened to what his supporters had to say. Speaking on RTÉ's Morning Ireland, Mr McGrath said the decision came after a 'core group' of his supporters voted by three to one against him signing Senator Norris' papers.